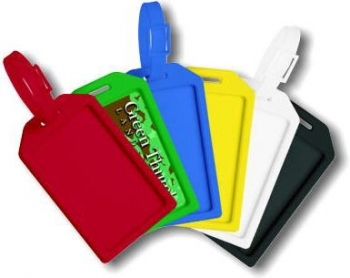 Colored Molded Rigid Plastic Luggage Tag Holder. Clear protective face plate, holds business cards. Only Black and Red available in quantities less than 500.